To some, it looked like perhaps a cool vintage was on the way. 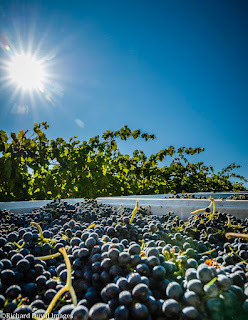 “In April and even early May, we thought we might have another 2011 on our hands,” said Bob Betz, who consults for Betz Family Winery and Col Solare. The cool weather delayed early markers of the growing season. “We ended up having a very late bud break,” said grower Mike Sauer of Red Willow Vineyard in Yakima Valley. Sauer noted it occurred around April 25th, ten days to two weeks later than historical averages. “Bud break and bloom were really pushed back,” agreed grower Will Beightol of Double Canyon Vineyard in the Horse Heaven Hills. Growing Degree Days (GDD), a measure of heat accumulation, from May 12th at Red Willow Vineyard show what this cool start looked like (and just how outrageously warm 2016 started). “You heard of entire vineyards not being harvested because of mildew in clusters,” said Beightol. 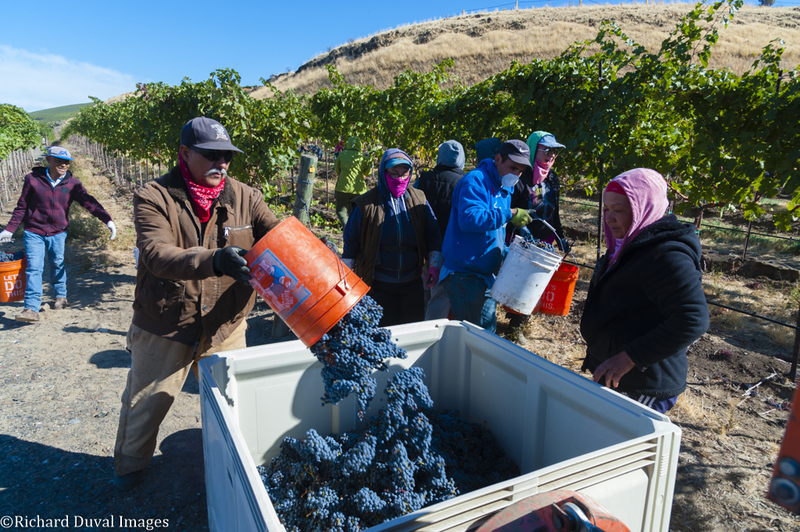 “It cost everyone one way or another,” said Kent Waliser of Sagemoor Vineyards in the Columbia Valley. Whereas spring was cool, early summer temperatures aligned with historical averages and then mid to late summer temperatures were above average. This allowed heat accumulation to catch up from the slow start and move ahead of long term averages. This is reflected in the GDD numbers below from Red Willow Vineyard on July 1st as well as the vineyard’s final GDD numbers, which reflect a warm season. Veraison began in the third week of July. Harvest started the third week of August for rosés and sparkling wines and began at the end of the first week of September for red varieties. 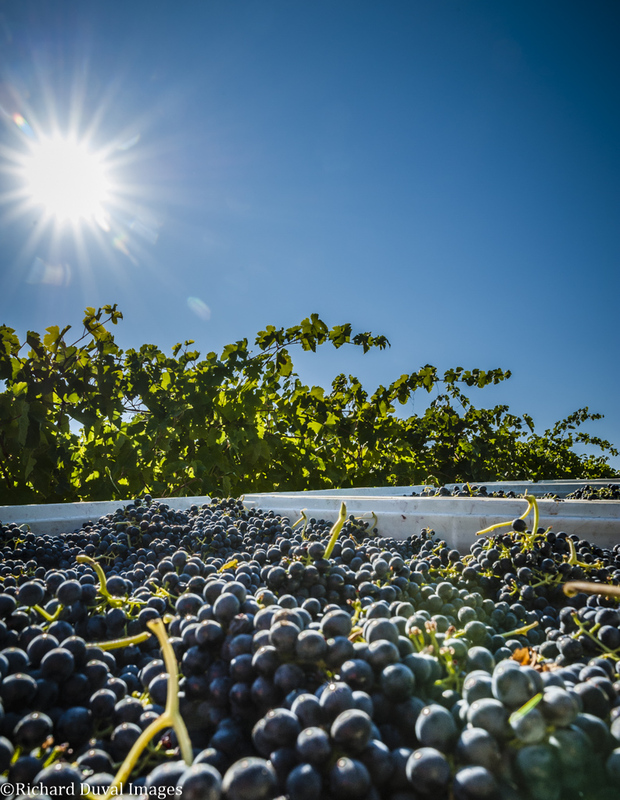 Betz noted that for Betz Family Winery, which only works with red grapes, harvest began on September 12th, compared to August 24th the year before. 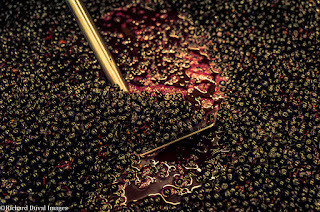 The winery finished picking on October 24th, though some growers continued picking well into the first week of November. There were two significant smoke events in eastern Washington in 2017. The first was in August from Canadian forest fires. The second was in early September, during the beginning of harvest, from Cascade and Columbia Gorge fires. Smoke from these generally distant fires hung in the air for a series of days each time before clearing. While it brought concerns of potential smoke taint, in the end most felt the smoke, counterintuitively, had a positive effect on the vintage, in part by lowering above average forecast temperatures. 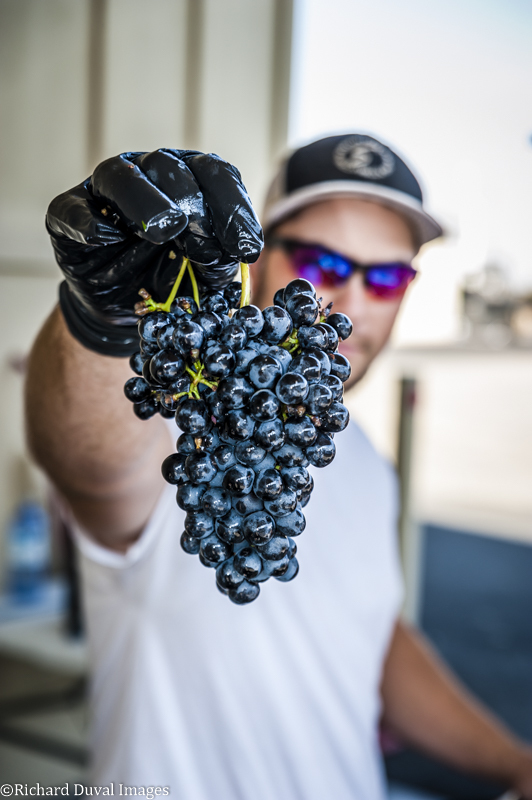 “Even though you’d look at the weather and it would say it was going to be 98, it was 88,” said Trey Busch, winemaker and co-owner at Sleight of Hand Cellars. “Everything just stalled,” agreed Johnson. “We had 10 days where we didn’t bring any red fruit in. 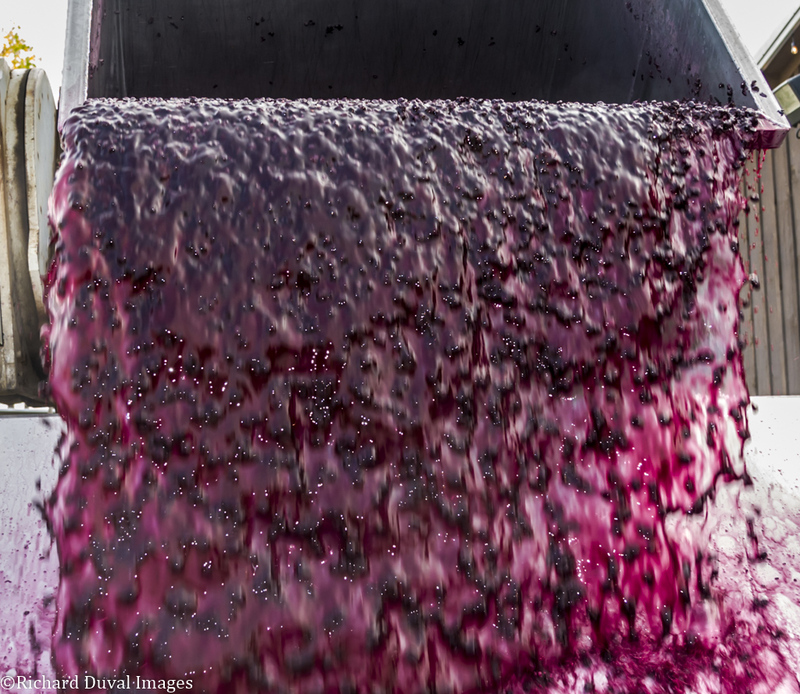 We just stopped.” This allowed growers and winemakers to harvest at a more leisurely pace. “We never really felt hurried like we have in the past three or four vintages,” Busch said. In a switch from recent warm vintages, winemakers had to wait for acids to drop before picking instead of harvesting because of spiking sugars. The end result was higher acidity than recent years. “We had higher natural acidity across the board,” said Clubb. “I’m not sure I want to throw those dice every year,” agreed Betz. Thus far, there have been few reported incidences of smoke taint, with most coming from vineyards in immediate proximity to the fires. While many said between the cool start, powdery mildew issues, and smoke it was a somewhat stressful year (when isn’t it in agriculture? 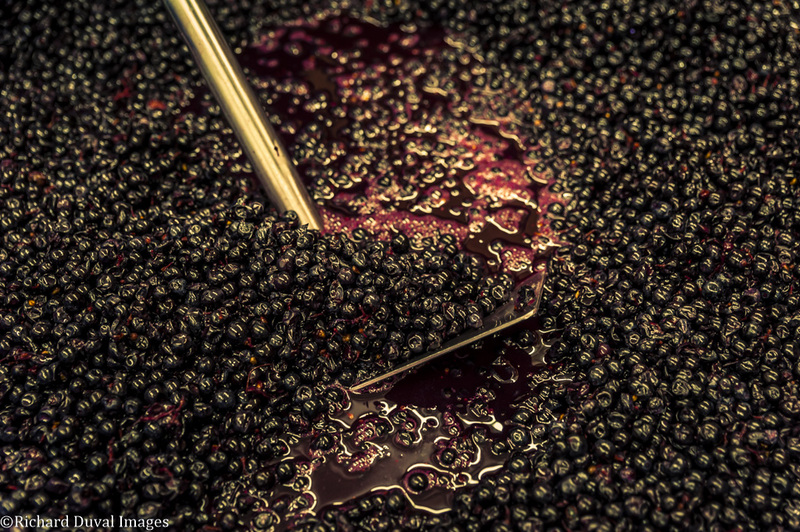 ), overall growers and winemakers were extremely pleased with the end results. “Ultimately, I think we picked some of the best fruit we have in a long time in terms of balance,” said Boushey. The first whites and rosés from the 2017 vintage are just being released, so you can decide for yourself! NB: Interviews for this article were conducted in December 2017. All pictures by Richard Duval.